Hi, everyone! Today we are kicking off a new challenge over at the Tiddly Inks Challenge Blog - this time, we want you to link up Under the Sea creations! Here's "Me Hearty" make using the freebie pirate from the Amy and Her Mini Mermaid Friends collection. 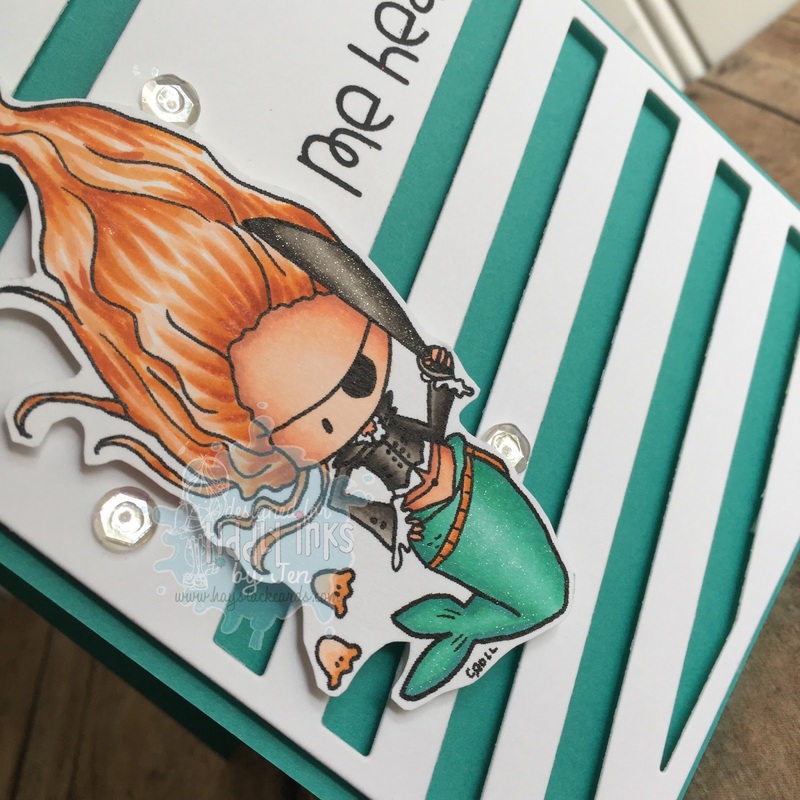 Christy has a wonderful selection of "under the sea" themed images from mermaids to sea creatures. You need to get your hands on some now! See what's new - here. I fussy cut the image, popped it up with foam tape, and threw in a few clear sequins to finish off the card. Don't forget to checkout the other makes by the design team this week. Leave a little love on their blogs and link up your own project to have a chance to win a store credit at the Tiddly Inks shop. Thanks for stopping by, me hearty!! The sentiment just made me giggle! 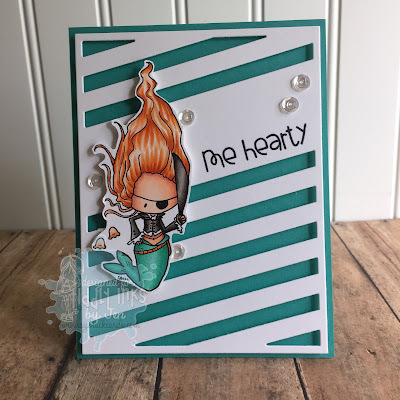 Such an adorable card and I love that die cut background! So much fun! I love the sentiment!